Mayor Kenney is replacing his chief property assessor. But will he fix the broken assessment system? 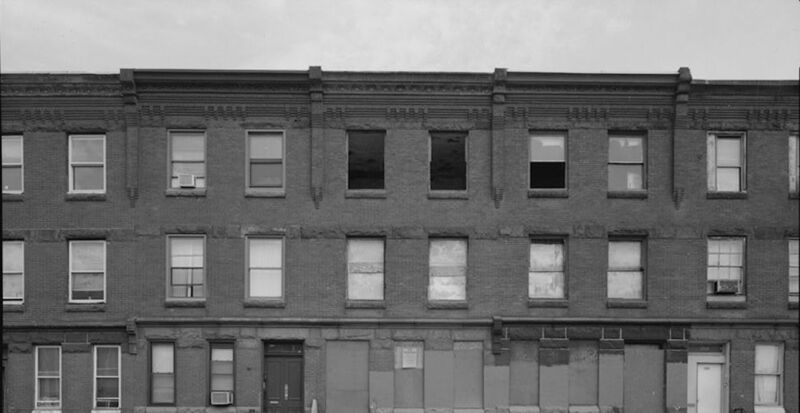 A string of bad land deals has put the practice of Councilmanic Prerogative in the headlines. Philly 3.0’s engagement director wonders: Will you vote on it? With the 2019 petition deadline in the rearview last Tuesday, and ballot position drawings coming up next week, the shape of Philadelphia’s municipal primary is starting to firm up. Let’s dive right in to some of the highlights. Mayor Jim Kenney will be running for a second term, and while he’s considered the heavy favorite to win, he’ll face two challengers: state Senator Anthony Hardy Williams, and former Controller Alan Butkovitz. In 2015, Williams won just 26 percent of the vote against Kenney, who took around 56 percent in a six-way field. Butkovitz, after serving 4 terms as Controller, was badly defeated by first-time candidate Rebecca Rhynhart, 58-41. On the Republican side, Billy Ciancaglini was the lone Mayoral candidate to file. The most interesting thing about this primary so far is that almost every District Council member has a challenger (except for Bobby Henon, naturally, the one guy under indictment by the feds.) And while some challengers probably have a better shot at an upset win than others, there aren’t any true kooks in the mix so all the incumbents are going to have to do at least some campaigning. The conventional wisdom is that Squilla, Jones, Bass, and Parker are among the safest, either for having drawn opponents with a low ceiling of likely support, or because two decently strong challengers will split the non-incumbent vote. Darrell Clarke joins that group this morning with GreenLight Fund Executive Director Omar Woodard withdrawing from the 5th District race after failing to collect enough valid signatures. The District seat most likely to flip, as ever, is the 7th District where State Rep. Angel Cruz is running against Councilmember Maria Quinones-Sanchez with the support of a majority of the district’s ward leaders. Rep. Cruz and the political family of Carlos Matos and Renee Tartaglione were behind the candidacy of Manny Morales in 2015, who came surprisingly close to catching Sanchez that year, 53-46. Sanchez is the only Democrat on Council the party never supports, and this time their candidate is a fellow elected official who will have higher name recognition than Morales. We’ve already written about Lauren Vidas’s challenge to 2nd District Councilmember Kenyatta Johnson, and there’s also a good new analysis of that race at Sixty Six Wards. Jonathan Tannen also has an excellent post on the 3rd District race between Jannie Blackwell and former Fairmount Park Conservancy Executive Director Jamie Gauthier, who, if successful, would be the first person without the name Blackwell in the seat in 40 years. The 9th District could revert to a two-way race, as Bobby Curry is currently playing the ballot lottery, cross-filing for At-Large as well, although neither challenger is expected to gain enough traction against Cherelle Parker. In the 10th District in Northeast Philly, Garces Group Executive Judy Moore and TD Bank Audit Manager Taras Smerechanskyy are facing off to take on 11-term Republican incumbent Brian O’Neill, who has been on Council since before both challengers were born. With 34 Democratic candidates having filed, the field certainly resists summary. And before petition challenges are resolved and ballot positions are drawn over the next week, it’s impossible to know who will have the wind at their backs from the ballot lottery. Once we’re up to this volume of candidates, the ballot position effects on the race become more decisive in the same way as they are with our typically-crowded judicial primaries, where drawing the top left corner position on the ballot virtually guarantees someone a win. The incumbents, Allan Domb, Derek Green, and Helen Gym, likely have high enough name recognition to have an edge, but there are two openings up for grabs with Blondell Reynolds-Brown and Bill Greenlee retiring, and anything could happen. The other dynamic that takes over with the huge pool of candidates is that the media isn’t going to be able to cover all of these campaigns in iterative fashion, so there are going to be many fewer opportunities for candidates to get earned media based on their campaign activities. That heightens the importance of doing paid media for the candidates, which in turn heights the importance of fundraising to get a message out to voters. In the May 21st primary, Taubenberger and Oh will face off against Republicans Matt Wolfe, Drew Murray, Bill Heeney, Dan Tinney, and Irina Goldstein. For unaffiliated and minor party candidates, the petition period to get on the ballot kicked off the day after petitions were due for the Democrats and Republicans, so we won’t know for a while who gets on the ballot for that. Andrew McGinley and Joe Cox are both declared candidates for that race, and more may get in. Did you know Philadelphia has a third City Commissioner elected to run our elections besides Lisa Deeley and Al Schmidt? It’s true! His name is Anthony Clark, and while he may never show up to work, or respond to emails or phone calls, he still does occupy one of the three seats. This year though, Clark is retiring, and the open seat has attracted a total of 13 candidates on the Democratic side.The City Charter reserves one of the three seats for the non-majority party, and it’s currently held by Commissioner Al Schmidt. Schmidt is not facing any challengers for that seat. Sheriff Jewell Williams, who is confirmed to have sexually harassed subordinates in his office, has resisted calls to step down from Mayor Kenney and other local elected officials, and will once again be on the ballot. He faces three primary challengers, Rochelle Bilal, head of the Guardian Civic League, which is the police association for black officers, Malika Rahman, a former deputy Sheriff, and Rev. Larry King St., who describes himself as a “pastor, preacher, and public servant.” Unless one of these challengers really pulls ahead of the others, it seems likely Williams would be reelected. One thing that remains to be seen whether Williams will actually receive official backing from Democratic City Committee or other elected officials who had avoided criticizing him over the harassment scandal. Ron Donatucci has served the Register of Wills since 1980, for 39 years. Doubling as the 26th Ward leader for Girard Estates, he’s kind of the archtype of the machine politician, but because nobody really has a great sense of what the political issues at stake are with this office, and because there haven’t been any really visible scandals, it’s never become much of an electoral target for anyone. Recently Donatucci was sued by his late son’s fiance claiming that he abused his power to seize control of his son’s assets, but it’s unclear yet if this will resonate politically. This time around he faces challengers Tracey Gordon and Jacque Whaumbush. Jon Geeting is the director of engagement at Philadelphia 3.0, a political action committee that supports efforts to reform and modernize City Hall. This is part of a series of articles running in both The Citizen and 3.0’s blog. Corruption Is On The Ballot…In Chicago!